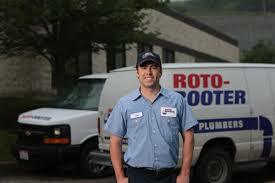 At Roto-Rooter Ventura, our emergency plumbing services are readily available for all of our customers residing in Camarillo. No matter what the season is or the time of day, when you call our team for emergency assistance, we will arrive stocked with all of our equipment to ensure that the problem is quickly fixed and allow your daily routine to resume its normal schedule. Toilets refusing to flush or sinks becoming filled with stagnant or slow draining water can often be a common indication of a clog blocking the system and preventing it from running efficiently. As a result, this pressure inside of the pipelines can cause them to burst or allow flooding and backups to occur, and these incidents can cause major damage to your home and property if they aren’t fixed right away. At Roto-Rooter Ventura, we make sure that we take the time to fix burst pipelines quickly without creating additional property damage. To keep the damage from becoming out of control and unmanageable, we turn off the water services and place towels on the floor to soak up flooding water if needed after we arrive. Through existing access points, we will be able to assess the damage and reline the pipe if needed with our advanced tools and equipment. Based on the type of hard or soft water present in your home, we can determine the quality of your pipelines as a whole and recommend the best solutions based on our discoveries. Our emergency plumbers are trained to conduct trenchless-based repairs, ensuring that we won’t need to demolish the walls in your home or excavate trenches to expose the pipes before fixing them. This needless property damage is inconvenient, and we save time by prioritizing solutions that can be employed right away. We employ our solutions through access points such as cleanouts or manholes, and by taking lengths to rehabilitate the pipes from the inside, we can work quickly and efficiently to keep your home secure and restore the quality of your pipeline system as a whole. We pride ourselves on offering services that are fast and effective, and our emergency plumbers are trained to handle these situations with professionalism and resourceful thinking that will produce meaningful, satisfactory results for all of our customers. Our team understands the inconvenience, stress, and disruption emergency plumbing situations can cause for the residents of Camarillo, and because of this, we strive to offer security and reliability in our work through resolving the problem quickly and carefully. At Roto-Rooter Ventura, we provide our customers with excellent services specifically designed to manage emergency situations. Don’t wait to reach out to our team for support and restore your sewer system as quickly as possible. Our customers in Camarillo can rely on our services at any time of the day or year, and we are proud to offer fast and reliable repairs as needed. Call us today to learn more about how our emergency plumbers can assist you!